Your Twin Cities' office coffee and beverage delivery solution since 2010. When you partner with Roasted Joe, you and your employees get the area's only company with all signature coffee blends being 100% Fairtrade/Organic. You can always count on our same day, seven days a week, office coffee and beverage delivery. 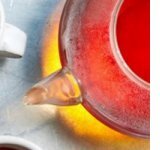 You'll love our large variety of hot and cold beverage options including coffee, tea, cider, cocoa, and much more with our WE Workplace Essentials program. If your office is looking for something to spice up the break room, we'll get it to you! What is the Workplace Essentials program? The Workplace Essentials program is specially designed to get you exactly what you need to keep your office running as smoothly as possible. You are our first priority and the WE program is designed to help you feel that way each and every day. Who doesn't like a guarantee? We even guarantee that our NO FEE, delivered price will be lower than ANY OTHER COMPETITORS' invoiced price! It might not hurt to re-read that last sentence. In other words, you won't find a better price in the Twin Cities. Get what you want, when you want it, at the right price. 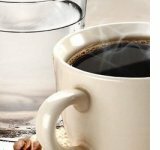 How can having an office coffee and beverage delivery service benefit you? Have you ever asked the question - "What employee benefit can I get for my team that they'll truly appreciate?" or "Our employees work really hard, how can we continue to make them happy?" As you look for ways to keep our staff happier, healthier, and more productive, it's good to remember that, sometimes, the smallest gestures can go a long way. Our office coffee and beverage delivery service provides just what you're looking for - customization, convenience, flexibility, and affordability. Want a free consultation? There may or may not be (there definitely will ​be) a free coffee tasting and cookies involved. Roasted Joe Coffee Co., Inc.
Roasted Joe Coffee Co. is an office coffee company that provides office coffee, tea, hot and cold alternative beverages, coffee machines, water filtration equipment, beverage amenities, and 7 day a week office coffee delivery service for businesses and organizations in the 7 county metro area of the Twin Cities, Minneapolis / St Paul, Minnesota. Roasted Joe Coffee Co. is the Twin Cities only office coffee provider with all of its signature blends being USDA 100% Organic and Fair Trade certified. Roasted Joe Coffee Co. supports local charities with a coffee fundraising program. CQM Ventures Inc., dba Roasted Joe Coffee Co., established in 2010, is Minnesota based in Eagan, Minnesota. To learn more click roastedjoecoffeeco.com/office-coffee.htm. Roasted Joe Coffee Co. provides office coffee. Coffees include Starbucks, Caribou, Seattle's Best, Dunn Brothers, Dunkin' Donuts, Cameron's and Wolfgang Puck to our own Roasted Joe Coffee Co. blends. To learn more click roastedjoecoffeeco.com/office-coffee.htm. Roasted Joe Coffee Co. provides office tea. Teas include Good Earth, Tazo, Two Leaves and a Bud Paisley Label, Stash, Bigelow and more. To learn more click roastedjoecoffeeco.com/office-coffee-tea-beverages.htm. Roasted Joe Coffee Co. provides office hot and cold beverages. Hot and Cold beverages include Califia Farms Cold Brew, Propel and Crystal Light Enhancers, Spiced Apple Cider, Cappuccino, Chai Tea, Hot Cocoa, and Kombucha. To learn more click roastedjoecoffeeco.com/office-coffee-tea-beverages.htm. Roasted Joe Coffee Co. provides new coffee machines for the office. 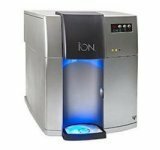 Office Coffee Machines include Bunn, Curtis or Newco brewing equipment. To learn more click roastedjoecoffeeco.com/office-coffee-machines.htm. 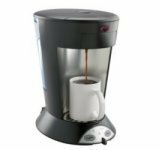 Roasted Joe Coffee Co. provides new water filtration machines for the office. To learn more click roastedjoecoffeeco.com/office-coffee-machines.htm. 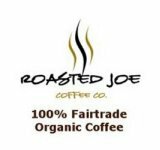 Roasted Joe Coffee Co. provides coffee fundraising with our signature Roasted Joe Coffee Co. 100% Fair Trade and Organic Certified Coffees, skuRJCC. To learn more click roastedjoecoffeeco.com/coffee-fundraising.htm. copyright © 2019, CQM Ventures Inc., dba Roasted Joe Coffee Co.